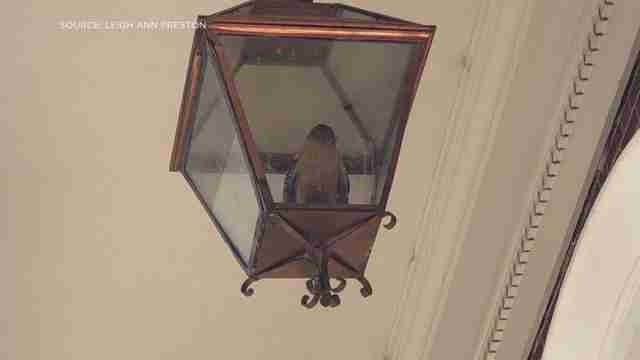 Cross-country coach Leigh Ann Preston was running past a church with her team in Kentucky earlier this week when she noticed that a light fixture hanging above the door was swinging back and forth. 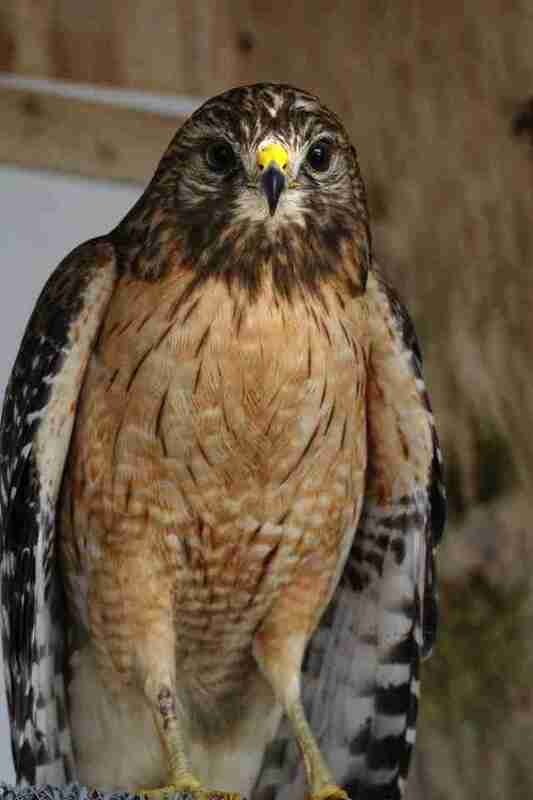 Preston and the kids ran over and noticed someone trapped inside: a red-shouldered hawk. She called Raptor Rehabilitation of Kentucky right away — and director Eileen Wicker and her husband rushed to the scene to help. “When hawks get stuck in something they’re not normally in, they can’t figure out how to get out,” Wicker told Wave 3 News. This was surely the case for this bird, who seemed to be stunned from the incident. But as soon as he was pulled out, he started flapping his wings and calling out. The light fixture had a pane missing off the top, which is how Wicker believes the hawk flew inside. The lightbulb inside had shattered, presumably from the hawk trying to escape, and glass was everywhere. Luckily, the hawk survived without any serious injuries. For now, the curious hawk is staying at the rescue center for treatment and he’ll be released back into the same area soon. But after all this commotion, he’ll probably try to stay away from lamps from now on. To support the care of more rescued birds, you can make a donation to Raptor Rehabilitation of Kentucky.